1) Did this patient meet the standard criteria for initiation of therapy for his CLL? 2) What genetic tests were indicated prior to initial treatment of the patient’s CLL? 3) Do you consider fludarabine monotherapy to be a suitable therapy for this patient in 2015? 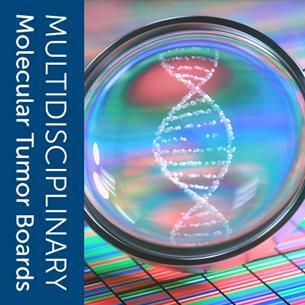 User Instructions: Welcome to the Molecular Oncology Tumor Board Series! This educational initiative is a collaboration between the American Society of Clinical Oncology (ASCO), College of American Pathologists (CAP), and Association for Molecular Pathology (AMP).